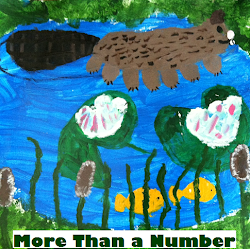 Students - Today's poem, like Monday's poem, is a metaphor poem. 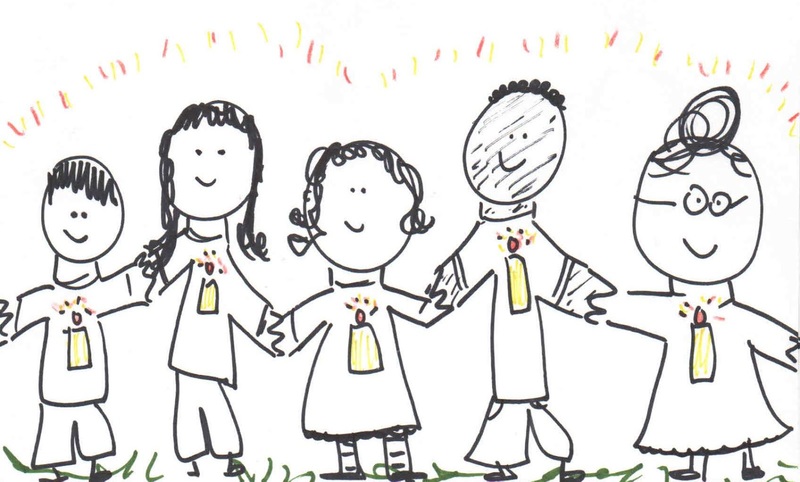 We know that people don't really have candles inside of them like in the drawing above, yet there is an invisible light that each of us carry...a light that we work to keep lit. We all know people who seem to glow, people who make us feel warmer and more loved when we are in their presence. Sometimes I will be shopping at a store, and the cashier will be so kind that I'll leave the store whistling! So again, today's poem is about seeing something as something else, seeing a warm love as a candle's light. 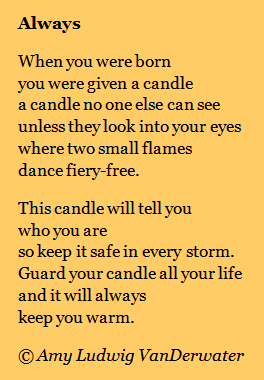 Today's poem is also a bit of a bossy poem, it's written directly to a reader, giving instructions on how to take care of your candle. If you believe something very deeply, you might decide to write a poem about it and tell your reader a little life secret as I have tried to do here. This week, I have two happy writing announcements. 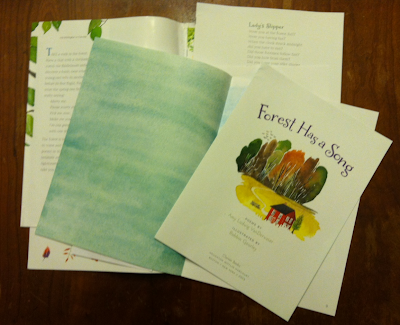 The first is that I received an F&G of FOREST HAS A SONG, and I could not feel more grateful. Students, 'F&G' stands for 'folded and gathered,' and in the publishing industry, that's just code for an unbound book. For the first time, I can see the size and look of FOREST...and I am tickled. 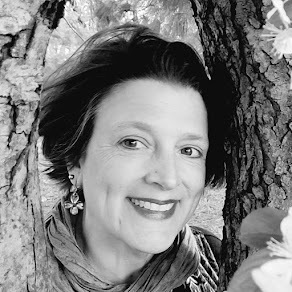 The second piece of poetry news is that I am a new member of the NCTE Award for Excellence in Poetry for Children Committee. This means that I will have the good fortune to read many poetry books and have a voice in the next winner of this NCTE award. It also means that I'll have more opportunities work with Mary Lee Hahn, also new to the committee. It will be wonderful to meet great people, read oodles of poem books, and learn more and more. Here are Peter, Paul, and Mary with Light One Candle, a reminder for all of us. 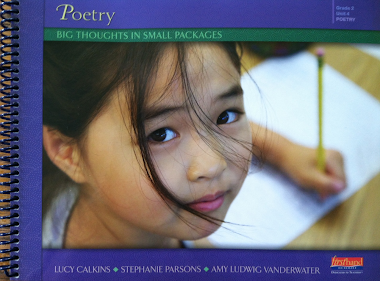 Thank you to Tabatha for organizing such a lovely Winter Poem Swap. I was paired up with Joy Acey and found it to be joyful fun! 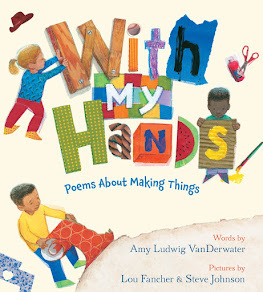 Over at my juicy little universe, Heidi Mordhorst is lighting the Kidlitosphere with today's Poetry Friday roundup. May your world feel a bit brighter today because of the poems you find on your path. I love your poem. A gentle reminder to see the light in each person you meet. I have never heard the Peter, Paul, and Mary song you posted. How powerful and profound, especially today. Thanks. Don't let your light go out! Enjoyed your poem, Amy! And congrats on the F&G! Hi, Amy! Congratulations on all of your great news. Your candle poem reminded me of one of T.S. Eliot's "Cats" poems -- the naming of the cats. The inner candle is like a secret name, known only to ourselves. If this is "bossy," well, then feel free to boss me around anytime :-) Lovely! Happy Holidays and see you in 2013! What a perfect metaphor for today. Congratulations on all your good news! I enjoyed your sweet poem, Amy. Big congratulations on all the good news. The pen truly is mightier than the sword. I am moved, tickled, and thrilled reading the Poem Farm today. Enjoyed this, Amy! It's the type of poem anyone at almost any age can get a little something out of. 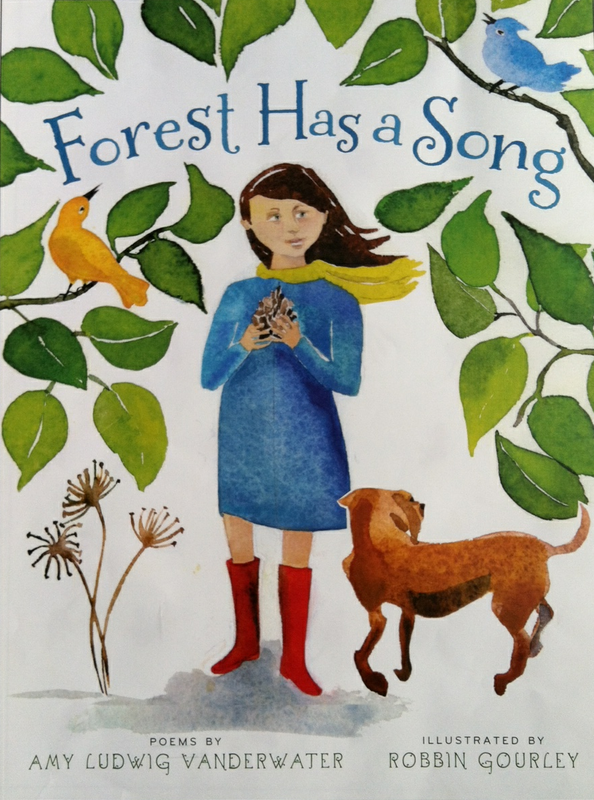 And congratulations on FOREST HAS A SONG! What a great poem, Amy! I love hearing you read it, too. Congratulations on your news! Very exciting about your F&G and the committee! Your poem is simple but strong--kids don't necessarily think about this, so I do like the bossiness! Fabulous...another one to share with my class, Amy! We were just talking about this last week, as my kids were coming to terms with the tragedy at Sandy Hook - they would love to hear your poem and create their own responses. Happy holidays! Every child needs to hear this poem and treasure it, Amy. Congratulations! So happy you love the f&g of FOREST. I can't wait to see it! And congrats on the NCTE Committee. That sounds like loads of fun! I'm going to help with the Master Class for CLA, so I have committed to being at the next two NCTE conferences--look forward to seeing you there! My flame has been flickering a bit, but your post cupped hands around it to steady it. Thank you, friend. Your poems always lift me in some way, Amy. Thank you - and a Wonderful Christmas to you and yours! 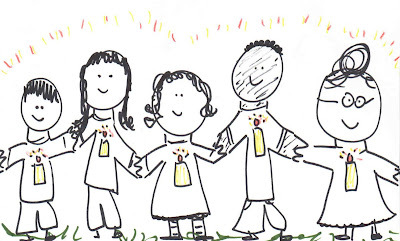 Still trying to catch up Amy & couldn't 'not' say I love your poem about light-so sweet about the little children, & congrats on both your announcements-the f & g looks beautiful. I can hear you're excited! Merry Christmas to you & the family.